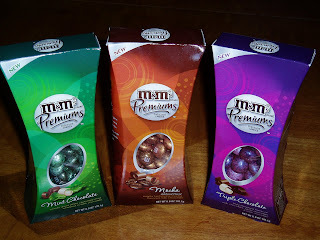 Each of my choco-friends will receive three boxes of M&Ms Premiums. Be nice to them -- maybe they will share. To all of you who entered, we appreciate your support of All Thumbs. We KNOW you come here for the witty repartee (main dish) and the savvy buying advice (veggie dish), right? The M&Ms were just dessert, right? We hope you bookmark us and come back regularly. We have lots more on the menu, and we enjoy cooking it up. OF course I come for the witty repartee! You both know I was hooked on you long before All Thumbs came to be! I WON! I won I won I won I won I WON!!! !